Bill Wehner, one of the First Aero Squadron Foundation’s (“FASF”) principal founders, and its second President, has ‘gone west,’ in the favored vernacular of his fellow aviators. Bill died last night at his beloved Airpark home in Columbus, New Mexico. His wife Mary was by his side. Bill was Founding Chair of the Columbus, New Mexico Historic Preservation Commission (CHPC) under former Village Mayor, Martha Skinner. The Commission was responsible for having the First Aero Squadron Airfield named to New Mexico’s 11 Most Endangered Historic Sites Register in 2006. He was the principal organizer of FASF in 2007 and served on the Board of Trustees continuously until 2014, and was its President from 2010 to 2014. He negotiated the first land purchase and runway extension; and is responsible for the current 160 acre site acquisition, which additional acreage will mean that the FASF will finally control and own the entire US Army Airfield, right where it was located back in 1917 – 1917. Besides a replicated 1916 Flight Line, the land is planned to also house a museum dedicated to the pre-World War II era of American Aviation. Bill served as President and/or CEO of the Village of East Davenport Association, Iowa Nursery and Landscape Assn., and the Scott County Handicapped Development Center, where he was involved in its multi-million dollar expansion. With Texan, John D. Benham, he was co-founder and Charter President of the International Cessna 170 Association. The Cessna model 170 was one of the Cessna Airplane Company’s most popular four place single-engined airplanes. Always an enthusiast for history as well as aviation matters wherever he lived, Bill served on the Davenport (Ohio) Airport Commission and also on its Historic Preservation Commission. In Iowa, he operated and sold two successful businesses, and partnered with his wife, Mary McClain, in Historic Restoration contracting. He served on the Scott College Board, and taught landscape design there for 30 years. For almost 50 years Bill wrote for his national trade press and for the Quad City Times, and was featured on the PBS show, “About Your House.” He was an instrument rated Private Pilot, long-time airplane owner, and self-confessed history nut. Bill authored and published his first novel, “Tracking Julie Stensvahl,” just a few years ago. Bill’s first post-High School job was with the US Forest Service in Idaho’s Clearwater National Forest. 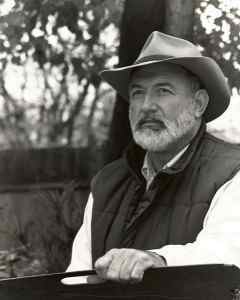 He and his wife, Mary, relocated to Columbus, New Mexico in 2002, and quickly became deeply engaged in local civic affairs, after having spent some 25 years exploring the Southwest. They made their new high desert home in an attractive and comfortably outfitted airplane hangar just six miles from the Mexican border and only three miles North of the historic Village of Columbus. Bill’s many local friends and those scattered all over the U.S., those with whom he often became friends through the common bond he shared among his fellow aviators, especially members of his Cessna 170 Club, will miss his dynamic presence. The FASF most likely wouldn’t exist, were it not for the tireless and creative efforts of Bill Wehner. When Services for Bill are announced, they will be immediately posted here on your FASF Website. Mary, Bill’s wife, has just announced that, as Bill wished, there will be no services. This entry was posted in HOT NEWS! on June 12, 2015 by FASFRIC. So sorry to hear that your friend and neighbor died. I thank you for this tribute about my Dad! He was so passionate about the FASF. His love of flying and it’s history have been a part of my life for as long as I can remember. There will never be another like him.